Wolfgang Niersbach has rejected the view that the DFB should have sent a larger delegation to the infamous camp. THE GERMAN FA (DFB) president has hit back at criticism from senior Jewish leader Dieter Graumann over the handling of their recent visit to former Nazi death camp Auschwitz-Birkenau. On Friday, a delegation from the German Football Federation (DFB) including coach Joachim Loew and captain Philipp Lahm visited the site of the former camp where an estimated 1.3 million people were murdered, 1.1 million of them Jews. But despite praising the DFB’s visit generally as “a good sign”, Graumann, president of Germany’s Central Committee of Jews, on Monday criticised the DFB for not taking the entire 23-man to visit the camp, 70km west of Krakow. “More would have been better,” Graumann had told AFP. “These people are football idols and their visit would have had more of an impact than 1,000 of our speeches could have had,” he added. Germany play their opening Euro 2012 match in Lviv, Ukraine, against Portugal on Saturday and at their base in the Baltic port of Gdansk, Niersbach said he was bemused by Graumann’s comments. “Honestly, I can’t really understand that criticism,” said the DFB president. “We had numerous contact with Mr Graumann, we wanted to send a signal against forgetting and against racism, it was up to us how we organised the trip. “We have had very good feedback from the international Jewish community and even the German Chancellor Angela Merkel sent me a text message in appreciation of our gesture. “Let me just say we didn’t do this for the public effect or for our image, on the contrary, we wanted to do this trip nevertheless, even if there hadn’t been a single camera there. “There is an obligation for us, as Germans, to visit the site. POLL: Should Ireland alter their formation for the Croatia game? Email “Euro 2012: Germany hit back at criticism of Auschwitz visit”. 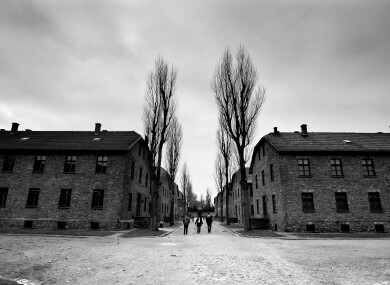 Feedback on “Euro 2012: Germany hit back at criticism of Auschwitz visit”.